Every February 14, lovebirds around the world exchange candy, flowers and adorable Teddy Bears, all in the name of St. Valentine. Valentine's Day is a wonderful holiday where you can show your affections to the one you love. The most common Valentine's Day symbols are the heart, particularly in reds and pinks, and pictures or models of Cupid. Cupid is usually portrayed as a small winged figure with a bow and arrow. He uses his arrow to strike the hearts of people. Many of us associate the most romantic day of the year with flowers and millions of cards, but how did Valentine's Day begin and why does it fall on February 14? 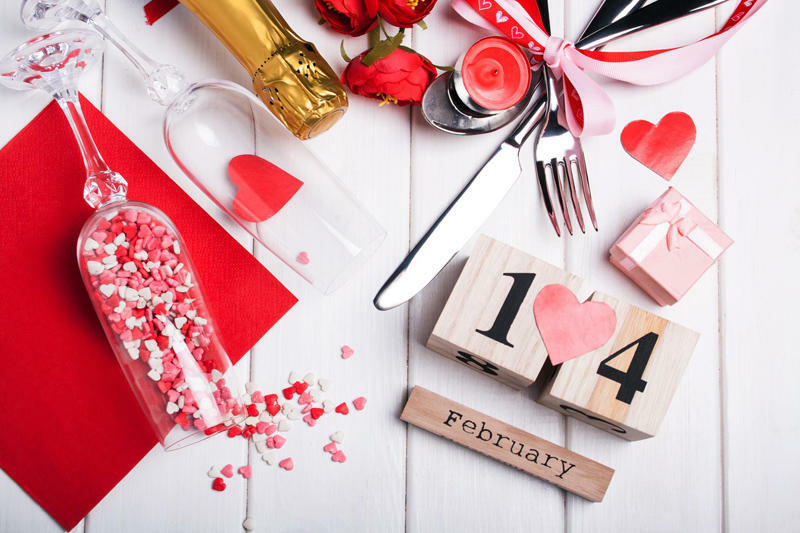 During the middle ages, Valentine’s Day was not associated with flowers, chocolates and gifts, instead it was a day to commemorate the acts of Valentinus. The Saint Valentinus was imprisoned and executed on February 14 for defying Emperor Claudius II. Emperor Claudius II banned marriages, because he believed that it distracted soldiers. St.Valentine is thought to have arranged marriages in secret. He was sentenced to death for his crimes. Julia planted almond and pink blossom beside his grave symbolizing lasting friendship and love. Today lovers around the world wait a whole year for this day. Valentine's Day also brings a new passion and enthusiasm among the youth in Azerbaijan. Baku celebrates the St. Valentine's Day on a grand scale. The love fever surrounds the entire capital. Many restaurants, hotels and shops have special offers for sweethearts. Couples enjoy the most beautiful and sensitive ambience, full of love. It’s one of the most romantic days of the year, which also makes it one of the most popular dates for proposal. Take advantage of all the cuteness this holiday has to offer.